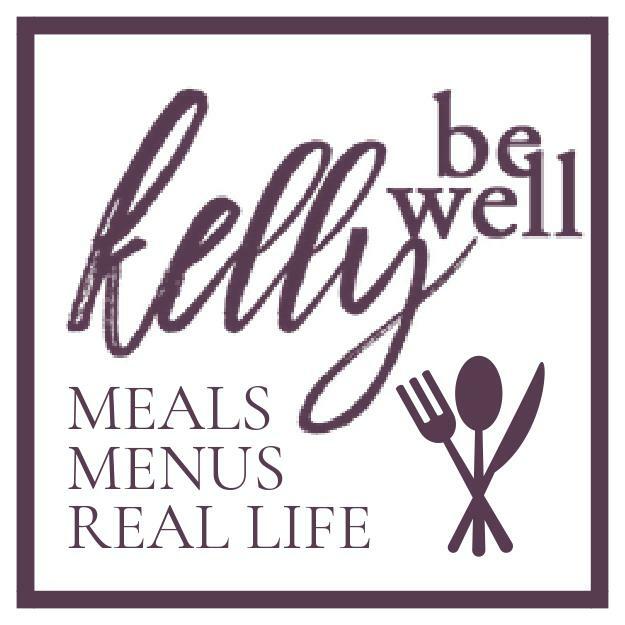 These are hands down the best “healthy alternative” meatball I’ve tried. We loved these on sub rolls as “meatball subs”, as well as on pasta with red sauce. The recipe freezes amazingly well, and I’ve started making a double batch and freezing them. Can’t recommend this enough! 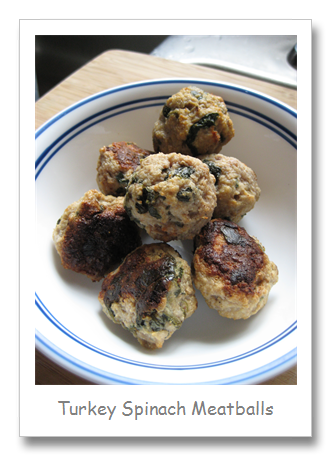 You can’t taste the spinach – although if you have a picky eater who is going to analyze the meatball, they will “see” it! I have a “thing” with frozen spinach….I think it tastes weird and has a weird consistency. So for this recipe, I roughly chopped a whole container of spinach from the grocery store, and then sautéed it in a frying pan with a little olive oil and 2 cloves of garlic. When it cooled, I added it to the meatball mixture in place of the froze spinach. 5. 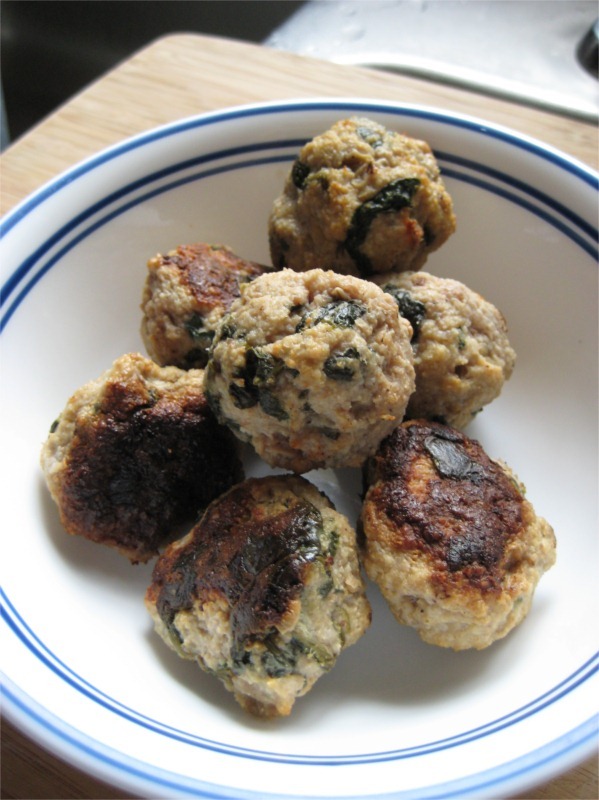 With your hands, create meatballs that are about 1 – 1 1/2 inches in diameter and place them on the baking sheet. Leave a little bit of space between each meatball. When you are done shaping your meatballs, you will probably have about 40-42 meatballs from this recipe. Don’t need that many? Freeze them after baking or cut this recipe in half (but I say freeze them and then you’ve done the work only once and have a future meal).